paint the rainbows ★彡: Classic Films Nail Lacquer Halloween Collection & More! Classic Films Nail Lacquer Halloween Collection & More! The Screaming Skull is a sheer sparkly white with multi-color shifting flecks, as well as pastel blue, yellow, and pink shard glitters, and white skull glitters. I layered this over butter LONDON Cotton Buds, a white creme. I love this one! 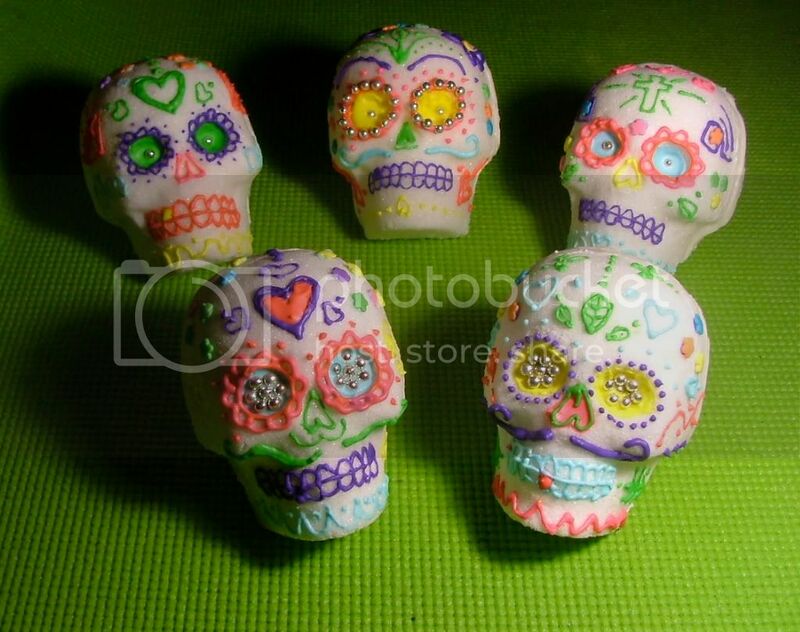 It was designed to look like sugar skull candy, and I think it hit the mark perfectly. I did struggle to get the skulls on the brush a bit, but other than that application was perfect! Gilda is a reddish-pink shimmery base with gold microglitters and fuschia square glitters. I layered this over Essie Sure Shot, a fuschia shimmer. Very pretty! No problems here, the glitters came out of the bottle and spread across the nail very easily. Chinatown is a shimmery sparkly gold base with holo rainbow microglitter, gold holo square glitter, and black microglitter and bar glitter. I layered it over Catherine Arley 807, a metallic gold holo. I adore this one! I love love love how sparkly and blingy it is, and the gold + rainbow is just a perfect combo. Lastly, Queen of the Pirates is a blackened gold shimmery base with red microglitter and white skull glitter. I layered it over Cult Nails Nevermore, my go-to black creme. This one is super complex and cool to look at - love that blackened shimmery base! Again, the skulls were hard to get out of the bottle but other than that no trouble with application. If you'd like to check out Classic Films Nail Lacquer be sure to visit their Etsy and Facebook! So beautiful!!! I love them all :) Thank you for such an awesome review!